Aquarius woman and Libra man is a very promising couple. Their relationship is transparent, easy, they completely complement each other with missing qualities, their attitudes are interesting for society, and they never stop talking. Fate, giving them a meeting, helps to reveal each partner, carry the feeling of love through life. Libra man will be struck by the woman Aquarius in a few seconds of the first encounter. They have much in common, both do not accept attachments, honor their freedom and independence. But this does not mean that we are talking about frivolous behavior, fleeting hobbies. Freedom, the will in their understanding means the absence of claims or the imposition of their views, points of view, pressure on certain steps to change. This couple will almost never have quarrels, scandals. Both deeply appreciate their chosen one and will not grumble at trivialities or find out the reasons. The couple initially knows how to settle the maturing conflicts without bringing them to quarrels. 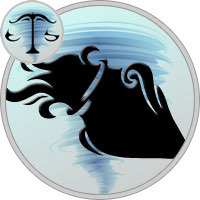 Woman Aquarius is sociable, active, principled and willful nature. In life, she strives to learn much, to achieve spiritual perfection. She is not indifferent to the state of the soul, she is looking for harmony, peace in herself, and accordingly in the partner. Woman Aquarius, as a rule, is very talented, she should look for herself in creativity, art. Surely she can achieve incredible heights, fame and recognition. Man Libra is attracted by solitude, thoughtfulness, philosophizing, the search for harmony. Libra is well-read, intellectually developed person. Unfortunately, he does not like responsibility, determination and live life without hesitation and long doubt he can not. In their union, Libra and Aquarius do not expect the partner to subordinate, create a certain way of life. Both people of the creative warehouse, their union can spawn a good star couple in the show business. The Libra man is a spiritual person, an amateur to dream and make plans. Woman Aquarius never sharply breaks the illusions of her lover, in her spirit to support the flights of fantasies, to show loyalty and condescension to the man. They are absolutely unpretentious to life and comfort, homework with joy will lay on other members of the family or hire a housekeeper. But from this pair come out very caring and loving parents. They can easily manage and educate kids, intuitively understanding what can make them happy. The environment of a couple often envies such an ideal relationship. Always mutual understanding, affectionate and gentle attitude, regardless of the years spent together. According to the compatibility of Aquarius woman and Libra man, despite the fact that neither the cautious Libra man nor the freedom-loving Aquarius woman has a long relationship, they can live together for many years, and their family union can rightfully be called ideal. There are almost no crises and conflicts in it. Their house can not be called exemplary and stable, but both partners perfectly understand each other and together they get maximum pleasures from life. They go through life hand in hand and spend time not on clarifying relations, but on improving the world, knowing oneself. Being together, Aquarius and Libra expand each other’s horizon, enriching the inner, spiritual experience. The Libra man shared with Aquarius spouse her numerous hobbies and interests, and she, having wide views on life, never "saws" him about work or salary. In the ideal pair of the Aquarius woman and the Libra man, harmony and full mutual understanding, both on a physical level and on the energy level, always reign. These people, living together, are very different from other couples. Most often they lead an unusual life, refusing luxury cars and country villas. Traditional values ​​are alien to them. They are engaged in spiritual self-improvement, travel a lot, get acquainted with the culture and art of different countries. Many people do not know how a Libra man so loves a comfortable life, next to a woman-Aquarius refuses this. And the whole point is that he needed a comfortable and beautiful way of life only in order to rely on him in moments of crisis and some spiritual fluctuations. But, Aquarius understands him so well, and so strongly surrounds with love that he simply does not have internal crises. Therefore, he does not need the walls of his native and comfortable home, because he now has an inexhaustible source of love and inspiration — spiritual intimacy with the Aquarian woman. A pair of Aquarius and Libra, among other things, also are sexually suited to each other. The Aquarius woman and the Libra man very rarely face difficulties that they can not overcome. They have such a good mutual understanding that they are able to find a compromise, even where there must inevitably be a quarrel. It seems that these two can never have problems at all. But, unfortunately it is not so. The problem of compatibility of Aquarius and Libra Zodiac signs is not paradoxical in that both the Aquarius woman and the Libra man belong to the air element. This element gives them restlessness, sociability and curiosity. When one of them suddenly falls into a difficult life situation (and no one is insured from this), the second one will not be able to support him for a long time. With patience and endurance, none of the partners is different. Therefore, if suddenly the spouse or spouse loses or falls into financial trouble, then the second one can provide help and support, only at short distances. His with incredible power will be attracted by freedom, news, friends. And sooner or later a person with whom he wants to share everything can meet. According to the compatibility horoscope of Aquarius and Libra, so that their family existed for a long time and did not fall apart in case of crisis, the Aquarius woman must be gently brought up in the Libra man’s responsibility. With the woman-Aquarius over the years, she herself appears a sacrifice and a willingness to devote her life to a loved one. Therefore, it is more likely not to leave a partner in trouble. But the man-Libra, in addition to having all the features of the Air element written earlier, so also an aesthete, who disdains about other people’s misfortunes and illnesses. The Aquarius woman herself is often carefree, and does not pay attention to the irresponsibility of her man. But, in order not to stay at the broken trough, it is necessary to teach your partner life to be reliable and faithful in times of crisis. To solve this problem, one can use small everyday troubles, the decision of which to entrust to a man. Also, develops a sense of responsibility — charity and volunteerism. Take care of some lonely grandmother, and this will teach Libra to take and the natural part of the world, and not just what is aesthetically attractive.